While most people are fast asleep, Alexis Gasperecz works the graveyard shift at a homeless shelter for veterans. 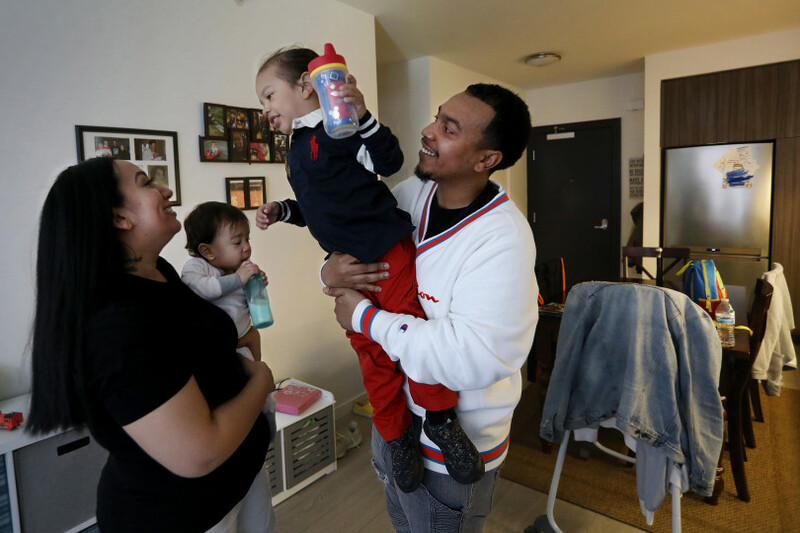 Around 8 a.m., when her shift ends, she leaves to take care of her children, Brielle, 11 months old, and King, 3, until about 6:30 p.m. when her boyfriend Darrin Davis and his mother return from their jobs for the childcare hand-off. By midnight, it’s time for Gasperecz to go back to work. If she’s lucky, she’s squeezed in three or four hours sleep. Much like the hunt for a place to live in the Bay Area, the search for child care is getting harder as prices rise. Over the past four years, the median cost of childcare in the nine-county Bay Area increased 40 percent, according to research from Oakland’s Insight Center for Community Economic Development. In San Francisco and Marin counties, the median cost rose more than 50 percent. © 2015-2019 Insight Center for Community Economic Development.